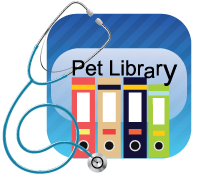 For new pets needing medication or treatment that have not yet been established with our practice, it is required that an exam be done on the pet before we can dispense any type of medication. If you are wanting to spay or neuter a pet that has not yet been established with our clinic we require that they receive at least a rabies vaccination, and come in for a pre-operative exam prior to surgery. This allows us to begin establishing a relationship with our clients and to thoroughly examine your pets to make sure that they are healthy enough to undergo surgery. We require full payment at the time that services are rendered. For your convenience, we accept Visa, MasterCard, Discover, Care Credit, Cash and personal checks. To apply for Care Credit click the link below to go straight to the online application form.